This is the second HammerFall album I’ve heard (the first being their album of cover songs called Masterpieces). I’ve been aware of the band for years but with modern power metal not really my cup of tea, I’ve stayed away from them for the most part. The few samples I ever did listen to online never really impressed me and seemed cheesy and generic (as most power metal does to my ears). When I found out that James Michael was producing this album, I thought that this could be an interesting partnership and wanted to check it out. Michael has written, mixed, engineered and/or produced for the Scorpions, Motley Crue, Papa Roach, Trapt, Hillary Duff, Saliva, Sara Evans, Halestorm, Vince Neil, 12 Stones and Meat Loaf in addition to being the vocalist/producer in Sixx:A.M. My hopes were that with Michael in the booth he could steer the band into a more modern direction so I wouldn’t have to sit through 11 tedious tracks about dragons, kings, warriors, metal, gods, thunderstorms, hammers, swords and knights. I think Ronnie James Dio and Manowar have those topics pretty well covered, thank you. There is a loose zombie theme starting with the album’s title, cover art and photos inside the booklet. I think this is where some HammerFall fans allowed their eyes to judge instead of their ears as I’ve seen many reviews online calling this album mediocre or flat-out poor. Zombies in power metal? Blasphemy! This is no concept album and “Patient Zero”, “Dia De Los Muertos” and “Immortalized” are really the only songs that seem to reference the living dead. Upon closer inspection the rest of the songs see the band lyrically sticking to the tried & true power metal formula of talking about evil, banging your head, standing up for yourself and fighting for what you believe in. 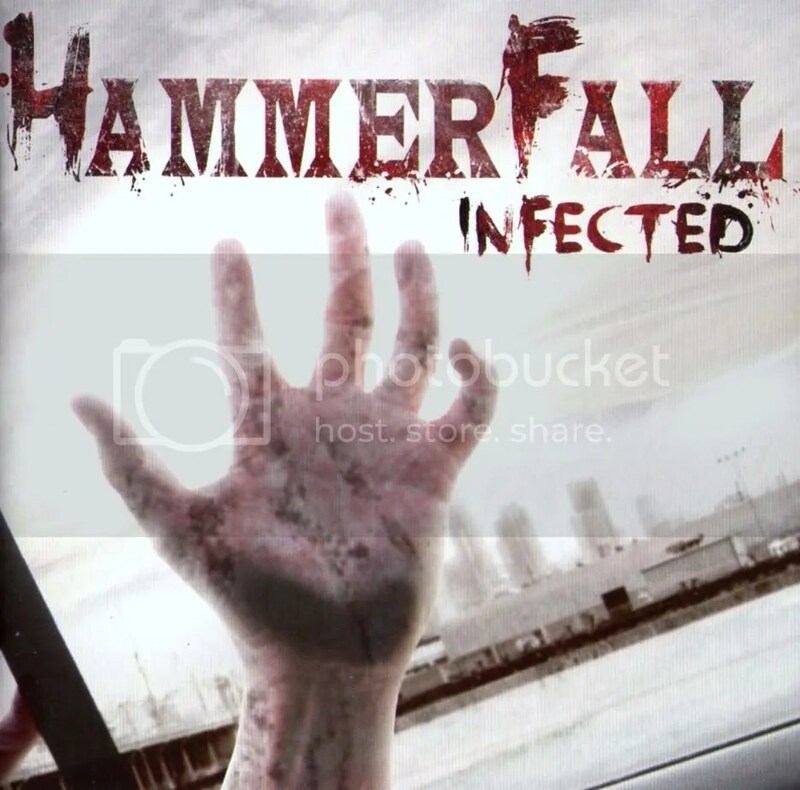 Musically, I think HammerFall have gone in a slightly different direction than what fans may be used to. It’s still power metal/traditional heavy metal, there’s no doubt about that and there is still the aroma of cheese in the air (comes with the territory) but it doesn’t sound as dated to me like so much European power metal does. 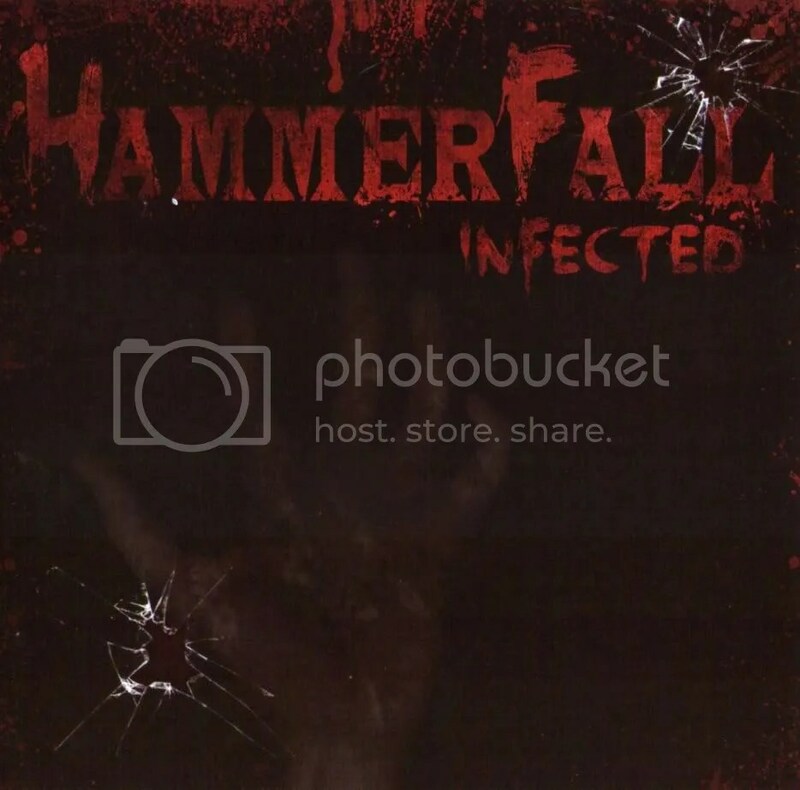 Not sure if I’ll ever go back and check out HammerFall’s previous albums but for a first-timer, I think this album is a pretty cool and I’ve spun it probably 7-8 times since buying it. By the way, the album comes with some cool artwork. The black & red art was inserted into the jewel case as the cover while the white & red art is the cover of the CD booklet. I like both.